Participants of the workshop attending one of the seminars. Defect engineering in micro/optoelectronics and in photovoltaics has immensely profited from electronic structure calculations. In the past two decades, local and semi-local approximations of density functional theory were the workhorses of theoretical studies but, by now, it has become clear that they do not allow a sufficiently accurate and reliable prediction of defect properties in wide band gap materials. While ab initio energy methods for calculating the total energy are struggling with the system sizes necessary for defect modeling, semi-empirical methods using various corrections or hybrid functionals are being applied for the purpose. While the theoretical background of these methods and their relation to each other is by now more or less understood, the transferability of the semi-empirical parameters and the overall predictive power is still unclear. Progress requires further systematic testing and comparison of the various methods, as well as validation against experiments. For that, accurate measurement data on defects are needed on a set of materials, which are structurally or compositionally related. Gallium based semiconductors, like GaN, Ga2O3 and CuInxGa1-xSe(S)2 chalcogenides (CIGS) offer a good possibility for testing theory and are interesting also experimentally due to their versatile applications. While there are still open defect-related questions in the much studied blue LED-material GaN, very few defects could be positively identified as yet in CIGS solar cell materials, while the research on the potential power semiconductor and UV transparent electrode Ga2O3 has barely started. Following the successful workshops on Gallium Oxide and Related Materials, held in Kyoto (Japan) in 2015, and in Parma (Italy) in 2017, as well as several workshops on chalcogenide photovoltaic materials, e.g., Symposium V at the E-MRS Spring meeting 2016, the CECAM-workshop in Bremen 2018 will focus on bringing together experimentalist interested in gallium oxide and Ga-based chalocgenides with theorists who are active in the field. A friendly and stimulating environment will facilitate discussions, adding impetus to both the development of practically applicable theoretical methods and to progress in the defect engineering of these materials. Our workshop was held from the 2nd to the 4th of July at the Hotel Jäger von Fall which sits on a peninsula on the Sylvensteinsee, an artificial lake in the Bavarian foothills of the Alps near the Austrian border. This is a very remote location chosen deliberately to allow participants to concentrate fully on the scientific program. Transportation from and to the nearest train station was accomplished with a shuttle-bus courtesy of the Technical University of Munich (TUM), driven by some of the participating TUM members. For the most part the weather was very inviting, inspiring a small number of participants to take a refreshing swim during the breaks, it turns out that the water was very clear but also very, very cold. The two evenings of the workshop where filled with a poster-session on Monday, held outdoors due to the lovely weather, and a conference dinner, again outdoors, on Tuesday. The event was supported by Psi-k, the German science foundation (DFG), the international graduate school of science and engineering (IGSSE), as well as the Technical University of Munich. Improving the accuracy of ab-initio methods for materials means to devise a global strategy which integrates several approaches to provide a robust, controlled and reasonably fast methodology to predict properties of materials from first principle. Kohn-Sham DFT is the present workhorse in the field but its phenomenological character, induced by the approximations in the exchange-correlation functional, limit its transferability and reliability. A change of paradigm is required to bring the ab-initio methods to a predictive level. The accuracy of XC functional in DFT should be assessed against more fundamental theories and not, as it is often done today, against experiments. This is because the comparison with experiments is often indirect and could be misleading. The emerging more fundamental method for materials is Quantum Monte Carlo because of: 1) its favourable scaling with system size with respect to other Quantum Chemistry methods; 2) its variational character which defines an accuracy scale and allows to progressively improve the results. 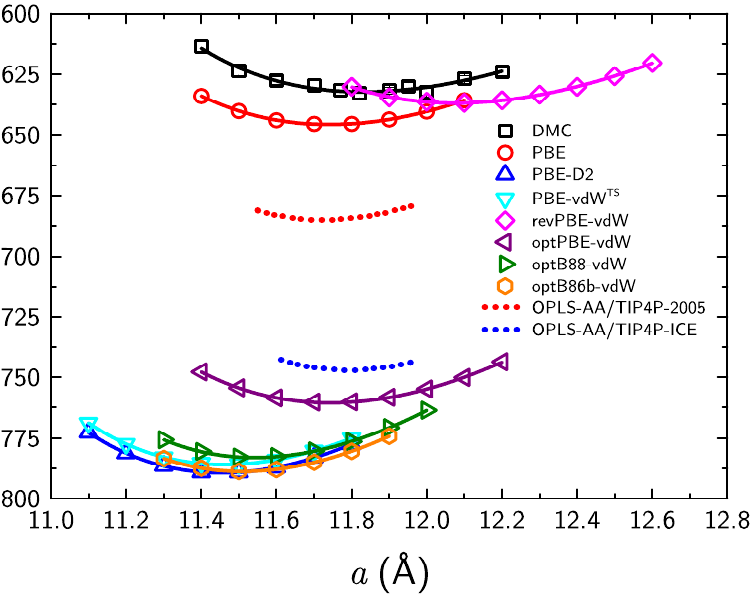 However QMC being much more demanding in terms of computer resources, and intricate than DFT, a combined approach is still desirable where QMC is used to benchmark DFT approximations for specific systems before performing the production study by DFT. A different aspect of accuracy is related to size effects: often relevant phenomena occurs at length and time scales beyond the one approachable by first-principle methods. In these cases effective force fields methods can be employed. Machine Learning methods can be used to extract those force fields from training sets provided by ab-initio calculations. Presently DFT-based training sets are used. Improving their accuracy will improve the ultimate accuracy at all scales. This change of paradigm requires building a community of people with different expertises working in an integrated fashion. This has been the main aim of the workshop. The Department of Chemistry and the Thomas Young Centre at Imperial College London and the Computational Materials Science Group of the Science and Technology Facilities Council (STFC), in collaboration with the Theoretical Chemistry Group of the University of Torino, organised the 2018 MSSC Summer School on the “ab initio modelling of crystalline and defective solids with the CRYSTAL code”. CRYSTAL is a general-purpose program for the study of periodic solids. It uses a local basis set comprised of Gaussian type functions and can be used to perform calculations at the Hartree-Fock, density functional or global and range-separated hybrid functionals (e.g. B3LYP, HSE06), double hybrid levels of theory. Analytical first derivatives with respect to the nuclear coordinates and cell parameters and analytical derivatives, up to fourth order, with respect to an applied electric field (CPHF/CPKS) are available. The school provided an overview of the underlying theory and fundamental issues affecting use of the code, with particular emphasis on practical issues in obtaining reliable data efficiently using modern computer hardware. The capabilities of CRYSTAL was illustrated with hands-on tutorials organized in the afternoon sessions. The Department of Chemistry and the Thomas Young Centre at Imperial College London and the Computational Materials Science Group of the Science and Technology Facilities Council (STFC), in collaboration with the Theoretical Chemistry Group of the University of Torino, organised the 2017 MSSC Summer School on the “ab initio modelling of crystalline and defective solids with the CRYSTAL code”. 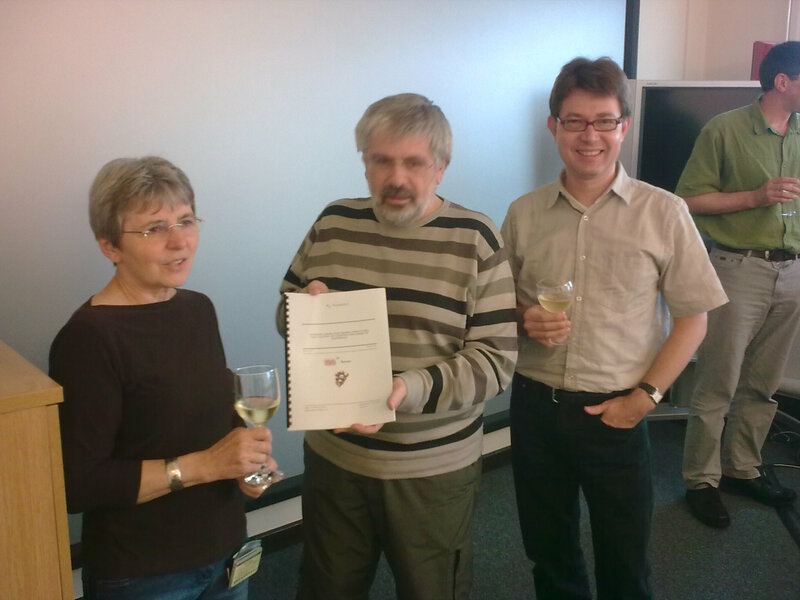 The school provided an overview of the underlying theory and fundamental issues affecting use of the CRYSTAL code, with particular emphasis on practical issues in obtaining reliable data efficiently using modern computer hardware. The capabilities of CRYSTAL was illustrated with hands-on tutorials organized in the afternoon sessions. traditional, layered multi-scale techniques and the more direct coarse graining and machine learning approaches to the simulation of extended systems, thereby bringing together researchers working on QM/MM or other embedding techniques with those who apply coarse graining and interpolation to electronic structure data in different contexts (e.g. potential energy surfaces, electronic properties, charge transport, rate constants in catalysis) and with different methods (neural networks, Gaussian process regression, kernel ridge regression, splining, etc). the growth of the community performing research on the theory and practice of Path Integral (PI) techniques for the atomic-scale modelling of the quantum behavior of materials and molecules. As in the last school, we explicitly asked the speakers to prepare pedagogic talks aimed at introducing the participants to the methods and simulation techniques to treat imaginary and real time path integrals, for both adiabatic and non-adiabatic dynamics. Invited and contributed speakers were encouraged to give lectures that explained the methods in great detail, so that the students could benefit the most from the school, even if this was their first contact with path integral methods. 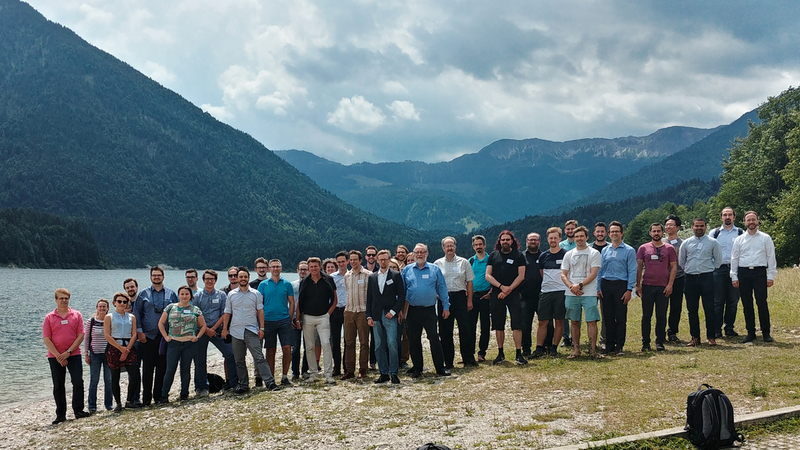 In the second week of July, the workshop Interfacing Machine Learning and Experimental Methods for Surface Structures (IMPRESS) was held at the TU Graz. The advent of machine learning methods has drastically changed the way structure determination is performed, since it facilitates the rational design of (new) experiments and the analysis of large amounts of data. 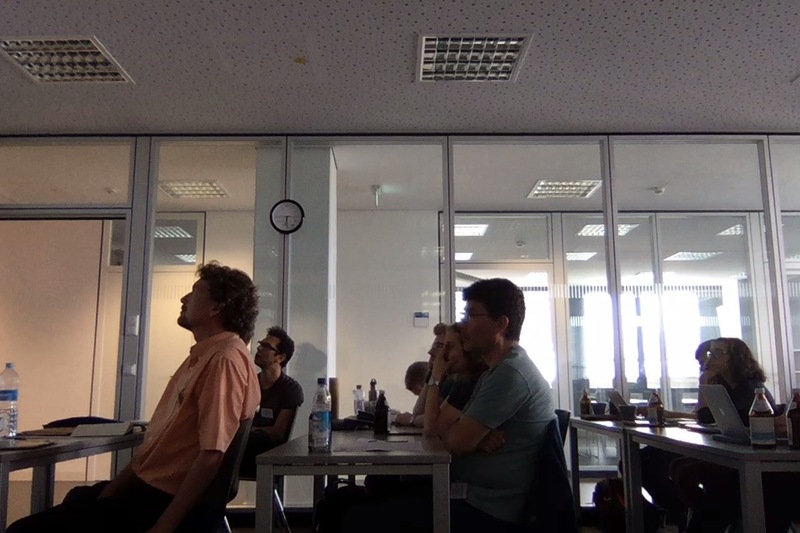 The target of the workshop was to bring experimentalists and theorists together, so that both can learn and benefit from each other’s expertise. 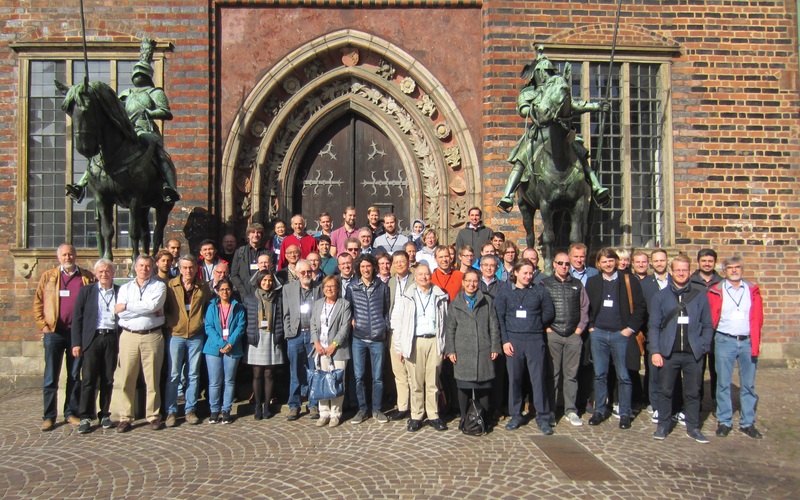 About 50 scientists from Asia, America, and Europe followed the call, making the workshop, which was sponsored by CECAM and the Psi-k, a great success.